Parents know just how important school friendships are for their children. Friendships are an important part of everyone’s lives – helping to boost self-esteem, teaching valuable lessons and skills, and providing much needed moral support through what can be some tough years, developmentally. Learning how to form friendships is a vital social skill for kids to have because it paves the way for a healthy foundation in future relationships. But some kids struggle more than others when engaging with their peers. While parents can’t make friends for their children, they can certainly help them develop and practice important social skills, particularly if their child struggles with social anxiety. If you know your child struggles with social anxiety – meaning they are excessively self-conscious and have a fear of social interactions – that’s generally the exact opposite of what they desire, which is to make friends, be included in groups, and be engaged in social interactions. It’s the anxiety that holds them back from doing those things, so here are some tips to help them learn how to engage with others better. Particularly for younger kids who are struggling to make friends, it might be helpful for you to try coaching some social skills at home. Practice interactions they might have with friends with role playing and using “social scripts,” which are simple conversation subjects and starters that they can practice with you. You can work with your child’s therapist or doctor to select some appropriate scripts to use and rehearse them at home with your child. Social scripts help practice and develop social skills and lessen the nervousness that accompanies social interactions. Practicing the things that make your child nervous actually expand her ability to handle them. If you suspect your child is struggling to make friends at school, it may be a good idea to set up a meeting with her teacher in order to get a better sense of your child’s interactions and also to get suggestions on classmates who might be a good fit for after-school play dates. 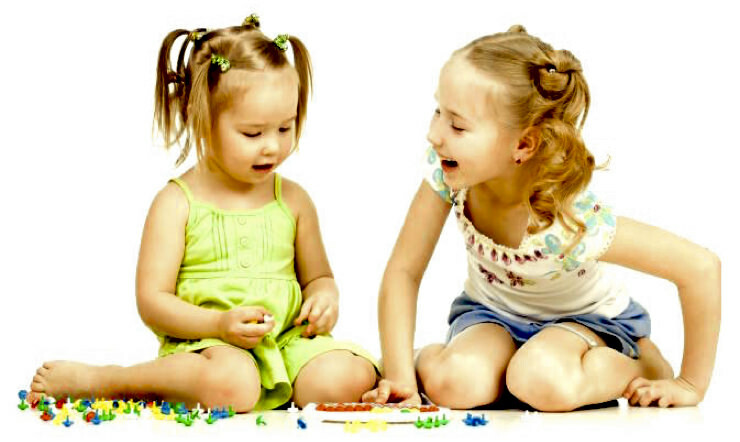 Play dates are a great way for children to work on social skills in the safety of a supervised, comfortable environment. Spend some time with them beforehand reviewing social skills. Some things to focus on include: What it means to be a good host, choosing appropriate activities/games for the play date in advance, and potential conversation starters and topics (social scripts). It may be a good idea for you to set up play dates with younger children if your daughter struggles with anxiety related to engaging with her peers. She may feel less pressured around younger kids, and will still be able to practice her social skills, build her self-confidence, and form positive friendships in a supportive setting. Expecting your child with social anxiety to jump in and be the leader of a group is pretty unrealistic, so don’t push her too hard. At the same time, parents shouldn’t make the mistake of allowing their kids to avoid situations that make them anxious. Getting out of doing something that makes her nervous might make her feel better temporarily, but she’ll still feel anxious the next time she has to face it. There is a fine line between enabling your child and accommodating her needs. For a child who struggles with social anxiety, you want to give her opportunities to meet new kids, but in a way that’s not too uncomfortable for her. Giving her the opportunity to face her fears of social interactions enables her to see that her worst possible outcome in a social situation might not even occur at all. Clubs, sports or other activities are also good ways to make friends because they provide a built-in structure that helps to reduce anxiety. If your child is worried that others won’t like her or she might embarrass herself, use some gradual exposure with her around the activity to make the new experience more comfortable for her. Perhaps watch the entire first game/activity, but stand further back the next time, or leave before the game is over. Work towards dropping your child off at the event. This may also mean giving adults working with your child a head’s up about her anxiety in order to best set her up to be comfortable. As a bonus, generally any form of exercise can help regulate anxiety and also provide a confidence boost for your child. It’s important that parents not place too many of their own social expectations on their children. Instead of wishing your child had more friends, realize that she only needs one or two good friends to feel connected and work on her social skills. You don’t have to worry about her being the most popular kid in her class or convey that message to her. Helping your child make friends and maintain relationships can be hard work for you, just as it can be for her. But showing her that friendship is important and encouraging her to face her anxieties can do wonders to help her feel more connected and supported. Do you have a MAP (My Anxiety Plan) for your child’s anxiety? Emily Powell Bass has a bachelor's degree in Journalism and Mass Communication from The University of North Carolina at Chapel Hill, a master's in Christian counseling from Gordon-Conwell Theological Seminary and is in practice as a licensed professional counselor. 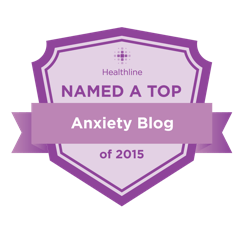 She combines her unique expertise in counseling and journalism to write about childhood anxiety on the Turnaround Anxiety website.